Restaurant de la Machine à Bougival, ca. 1905. (Detail). © Maurice de Vlaminck. VEGAP, 2016. 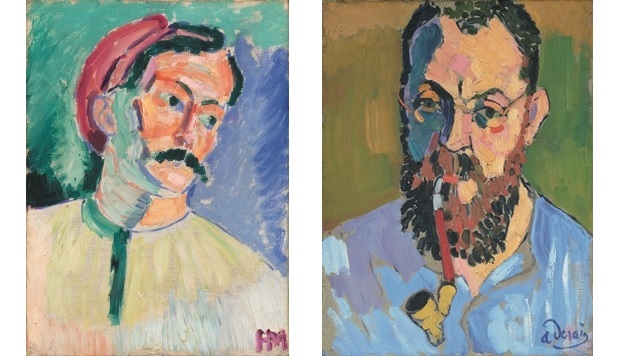 The show presented at the MAPFRE Foundation’s Recoletos Exhibition Hall displays paintings, drawings and ceramics to illustrate the creative revolution brought in by Fauvism, the movement that between 1904 and 1908 opened up the way for the historic avant-garde and included artists like Matisse, Derain and Dufy. Whereas 19th-century art had fluctuated between the two opposing poles of realism and romanticism, art in the first half of the 20th century explored the path that led from the concept of construction – Rationalism – to the idea of chance – Irrationalism. Fauvism falls just between these two general models in addition to being the continuation of what had already been started by the Post-Impressionists, headed by Van Gogh, Gauguin and Cézanne. The Fauvist movement was where some of the major figures of other -isms were forged, including Georges Braque, the father of Cubism along with Picasso, and Kees van Dongen, member of the Die Brücke group of Expressionist artists. So, it could be said that this exhibition is the best way to understand art in the first ten years of the 20th century, a moment at which all the principles of European painting were thrown into disarray and at which the value of authenticity – or the picture as a window – is replaced by that of potency – the painting as producer of a world of its own. It all started in the studio of Symbolist painter Gustave Moreau, where Matisse, Rouault, Manguin, Camoin and Puy coincided as students. It was here they discovered the expressive possibilities of painting through colour, which, freed from depicting reality as it was perceived, presented reality as it was felt, in an unprecedented exercise of subjectivity. This meant that a face could be blue or green and the sky yellow or orange. The impact of their work was comparable to the jolt caused by Impressionism decades earlier. In an article for the 1905 Salon d’Automne, art critic Louis Vauxcelles referred to them for the first time as “fauves”, meaning “wild beasts”, for the boldness of their palette. 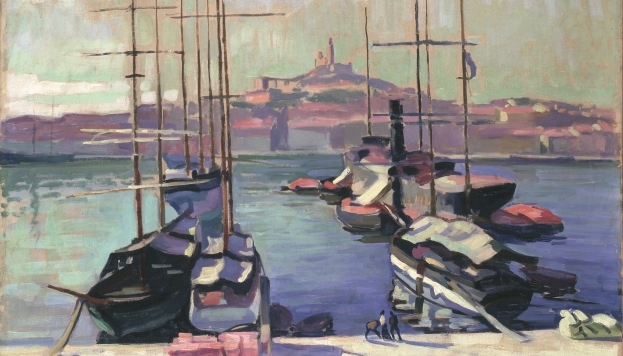 Port de Marseille, Notre-Dame-de-la-Garde, 1904. (Close-up). © Charles Camoin. VEGAP, 2016. 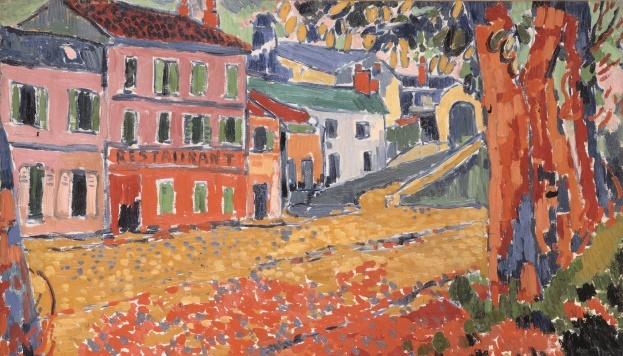 Out of all of them my favourite is Vlaminck, who remained the most loyal to the distinctive features of Fauvism right up to the end of his career, with works in which colour took on an overwhelming strength – actually impossible to photograph. Influenced by Van Gogh, with whom he shared subject matter as well as vibrant brushwork, at one time he declared that Cubism and Picasso were “dragging French painting into a wretched dead end”. The exhibition includes especially outstanding pieces by Camoin, who is revealed as one of the most complete artists in the group, skilful in all the genres, as demonstrated by Port de Marseille, Notre-Dame-de-la-Garde and La Saltimbanque au repos. This exceptional show, curated by María Teresa Ocaña, comprises works from the Tate and from the Centre Georges Pompidou, and also includes some paradigmatic Fauvist paintings, like the portraits that Matisse and Derain painted of each other and that appear in all History of Art manuals.